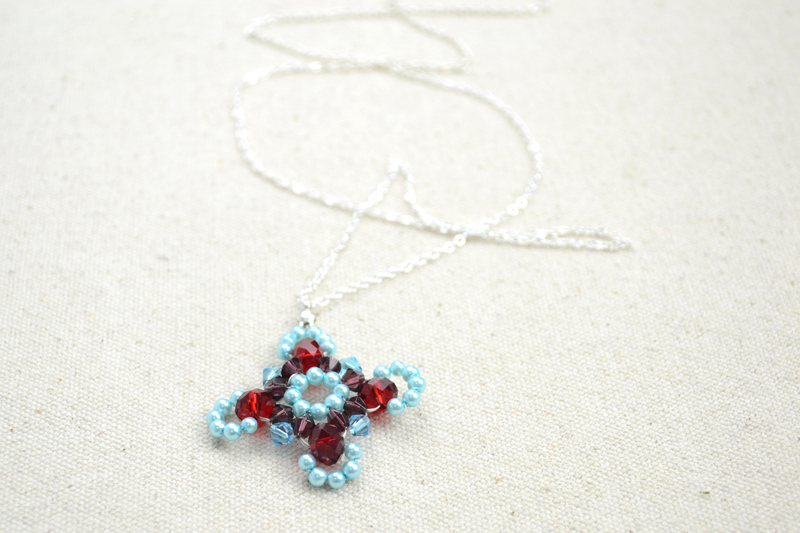 This new tutorial is all about beaded jewellery designs! 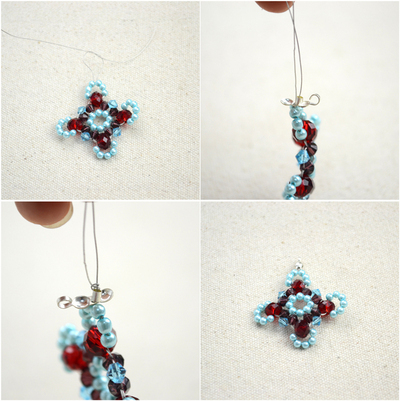 You will learn how to turn inexpensive beads into a special project, such as this handmade charm. Each step is detailed with photos and explanations. 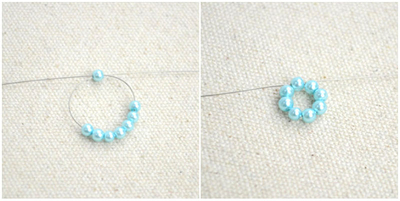 Step 1: Cut a long strand of wire and then string 8 pieces of 3mm pearl beads and form a loop by passing the wire back through the first one. 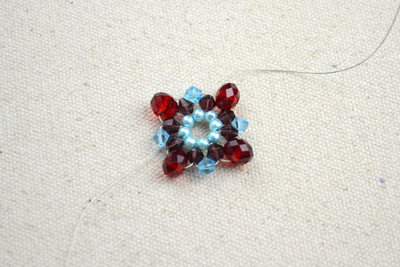 Step 2: Take either of the two working ends (left end here), and thread 3 bicone beads on it. Here we did purple, blue and purple. 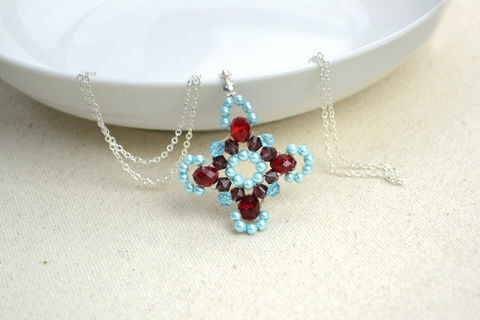 Pass the end through the bead below towards the left. Tighten the end and this is one pattern in the 2nd layer. For the other pattern, you need to thread on the beads in this order: one purple bicone bead and one 6mm abacus bead. Next, weave the end through the adjacent purple bicone bead as in pattern 1. At last, exit the end at next pearl bead. Step 3: Repeat beading the two bead pattern alternately until you reach a complete circle. 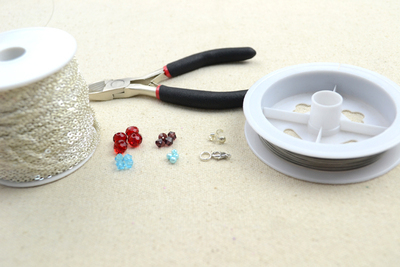 Step 4: Pick up the other working end and thread a purple bead and then add on 6 pearl beads. Weave though the abacus bead to so that the pearls beads surround it. 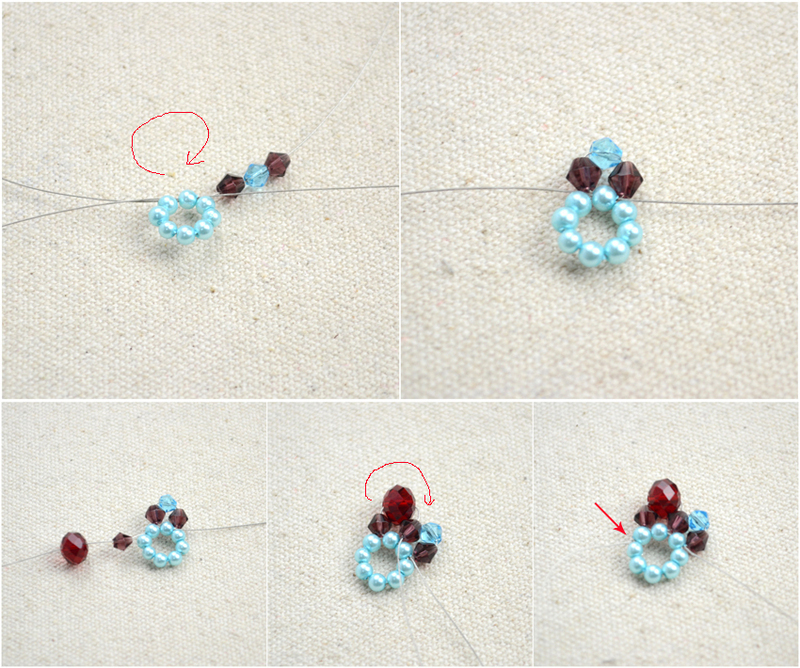 Next, lead the wire to the adjoining purple bicone bead and do same process to the abacus bead. Keep working until finish all 4 abacus beads. 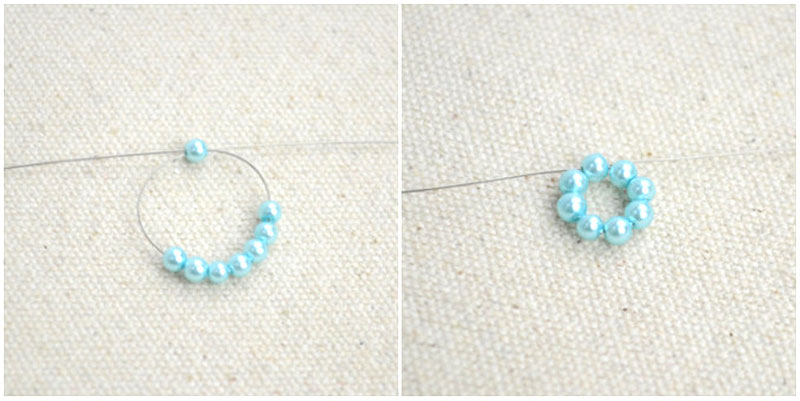 Exit the two ends of wire between the 3rd and 4th pearl beads of a loop. Then string the wires through a crimp bead cover and a crimp bead. Make a knot over the crimp bead. Squeeze the crimp bead and then close the crimp cover. Remove all leftover wire. This beaded jewellery design is finished!. Even though the process is elaborate, I hope you will love it. 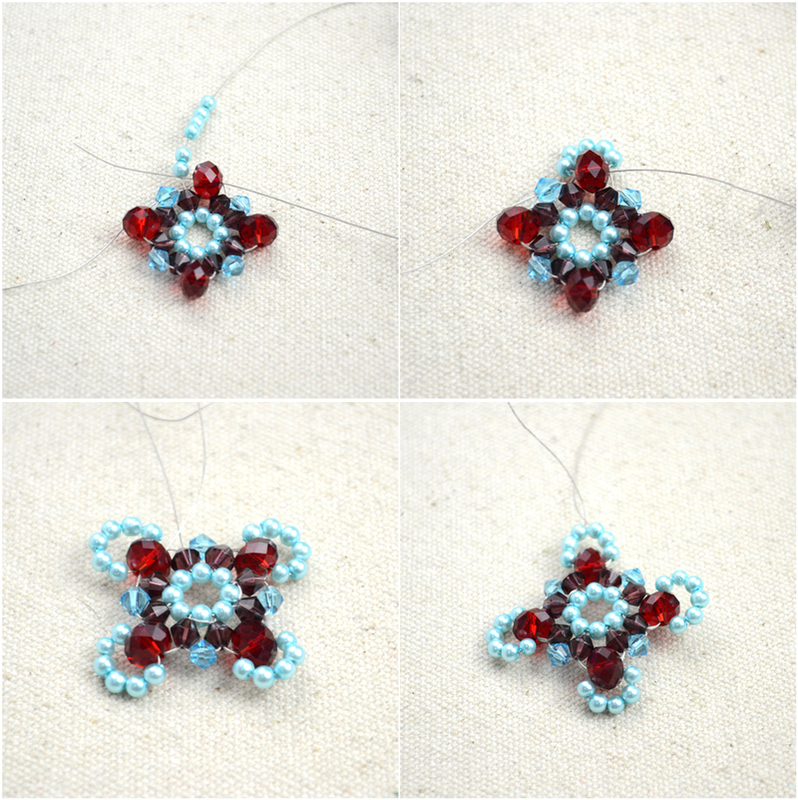 If you would like learn more patterns for making handmade charms, just stay tuned. We have more coming your way in the following weeks and months. Thanks for your stopping by!